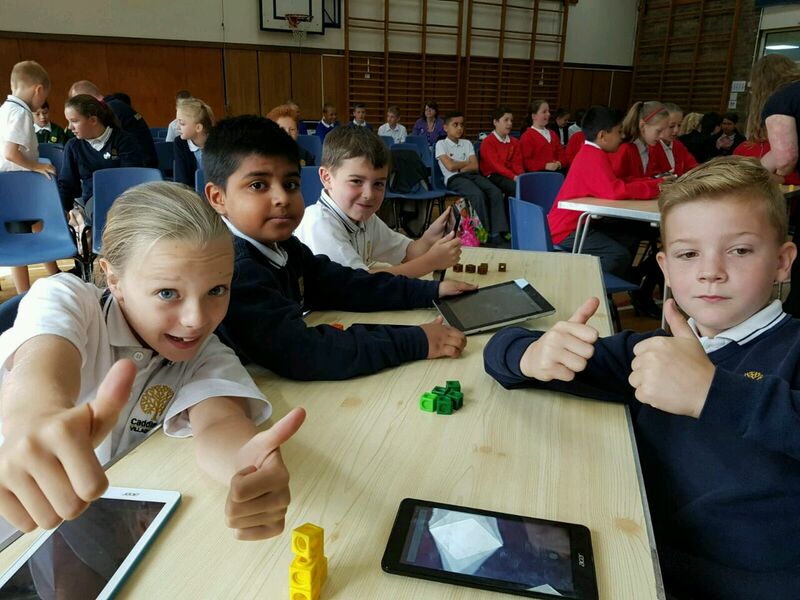 Its just over two weeks since Caddington Village School hosted the fantastic Number.bee 2016 where teams competed for the title of Times Table Champions and five Archos tablets kindly donated by Partnership Education. In total 17 teams (68 pupils!) competed in a live scoring competition answering over 20,000 questions in the group stages. Scoring was based upon both the hardness of the question and the time taken to answer it accumulating a score out of 10 - the highest points going to answering hard questions quickly! We were delighted to host the first ever Number Bee at Caddington; there was an amazing buzz in the room (ouch - no pun intended!) as the pupils battled it out in a fun and friendly manner. Well done to Putteridge for winning first place and proving the power of practise. We were also very proud of our own Year 5 pupil, Ella - who scooped the individual fastest time prize. Thanks to Flurrish, also to Partnership Ed for providing the prizes and sending some great technical support to work with us on the day. Huge thanks to the schools that sent teams - it was a pleasure to meet so many lovely staff, parents and pupils. Before the final knockout stages Dr Tom Mitchel from Edge Hill University gave a short talk on how the brain operates with the teams then building their own neurons. The three-way final saw Putteridge A, Putteridge B and Caddington A go head-to-head with Putteridge B triumphing in a tightly fought set of times tables! The final mean game times were 31.6, 27.7 and 29.5 respectively - that is very fast times tabling! Finally, in addition to the main team challenge, we also had an individual challenge for the highest scoring individual which went to a pupil from Caddington. This was an extremely competitive play-off so many congratulations. Caddington's team are pictured below. 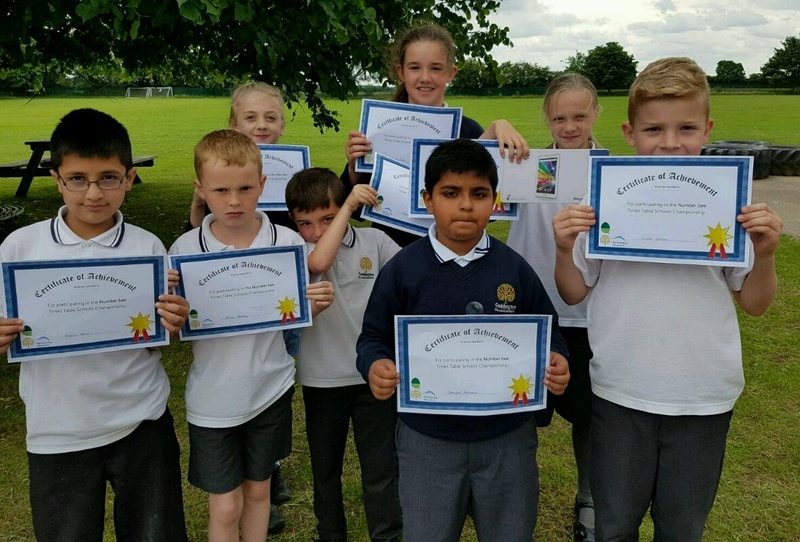 Finally we would like to thank the staff and pupils at Caddington Village school for hosting the Number.bee, Partnership Education for donating prizes, Dr Tom Mitchell and all the pupils who participated. We are looking forward to seeing you next year!